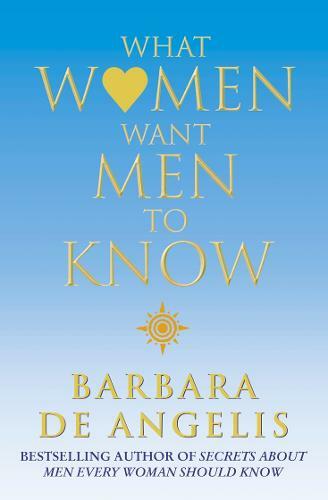 `What Women Want Men To Know' is a book for men and women alike. Barbara De Angelis reveals what makes women tick, just why it is they do what they do - in relationships, in bed, and in day to day communication. And what they want from their men. Essential reading for the man who wants to understand his partner better, it is also a must for the woman who wants to understand her own relationship and needs: "first and foremost this book is for you as a woman to read. It wasn't written just to help men understand you - it is an invitation for you to know and understand yourself more than you ever have before... "
The book includes the top 10 turn offs for women in bed and the top 10 turn ons. At a time when our stressed-out lifestyles are making healthy, fulfilled relationships increasingly elusive, the foremost female writer in this genre has provided, yet again, a route to a greater understanding of the one you love. This is vintage De Angelis.